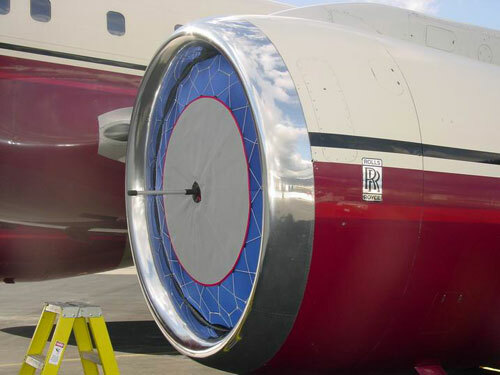 Jet \ Brella Inc. offers jet engine inlet cover solutions to protect your jet aircraft from Foreign Object Damage (FOD) and severe weathering. 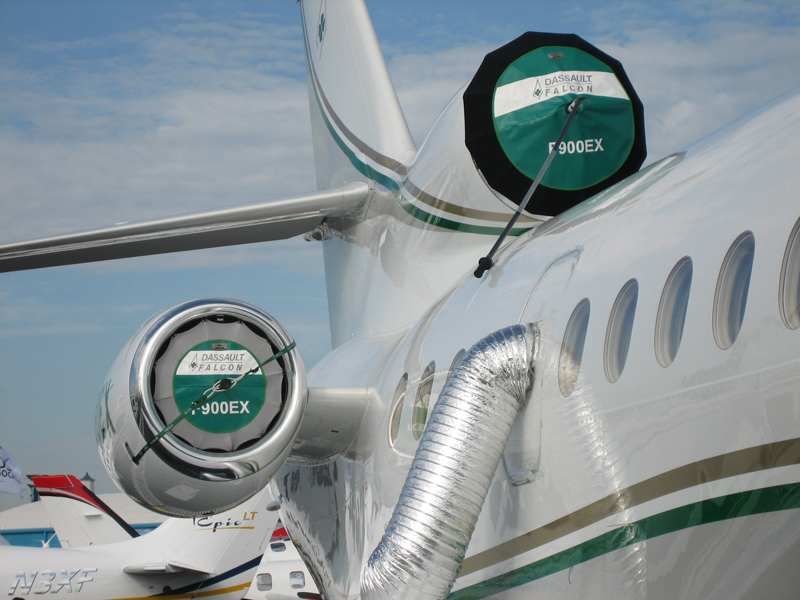 We also offer many custom colors, logo and design features for our private jet inlet covers. 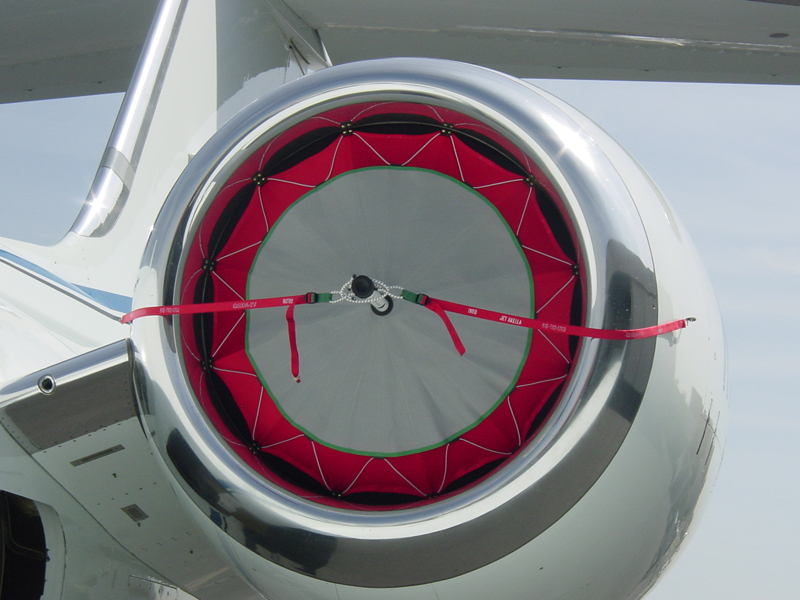 Jet Brella are ‘the inlet covers pilots love to use’. 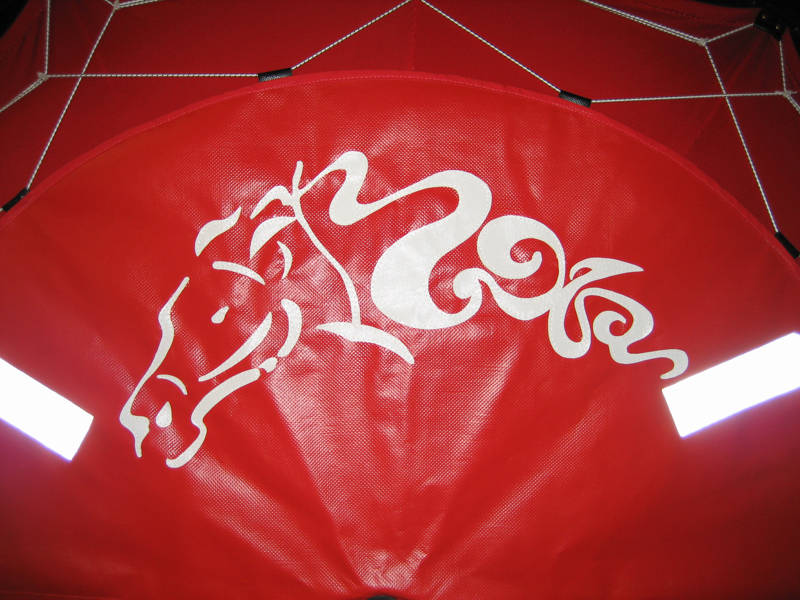 Custom Jet engine covers can come in different colors with custom logo designs and N tail numbers which can be embroidered on the covers to your specifications. 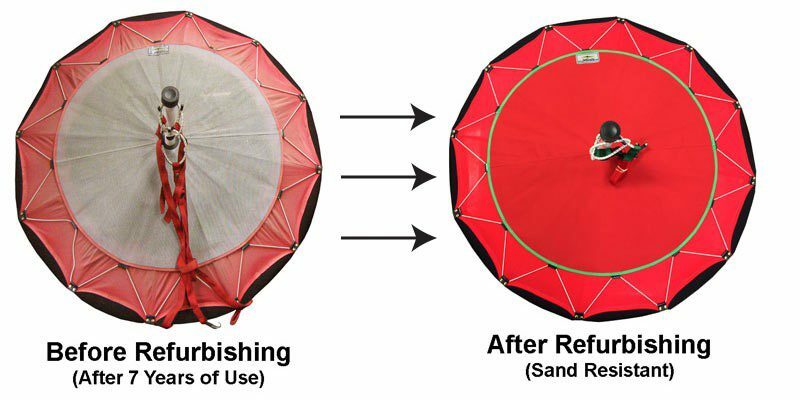 Each Jet \ Brella inlet cover is made with durable and soft material to prevent cowl damage and worn parts. 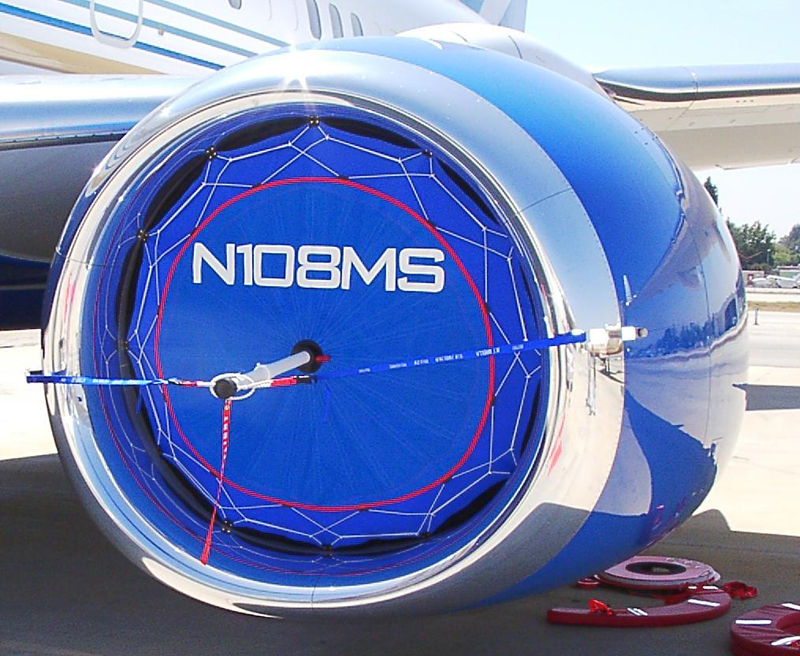 Inlet covers have venting mesh that allows breath-ability for the engine to prevent humidity corrosion and stops Turbofan engines from spinning under wind load. 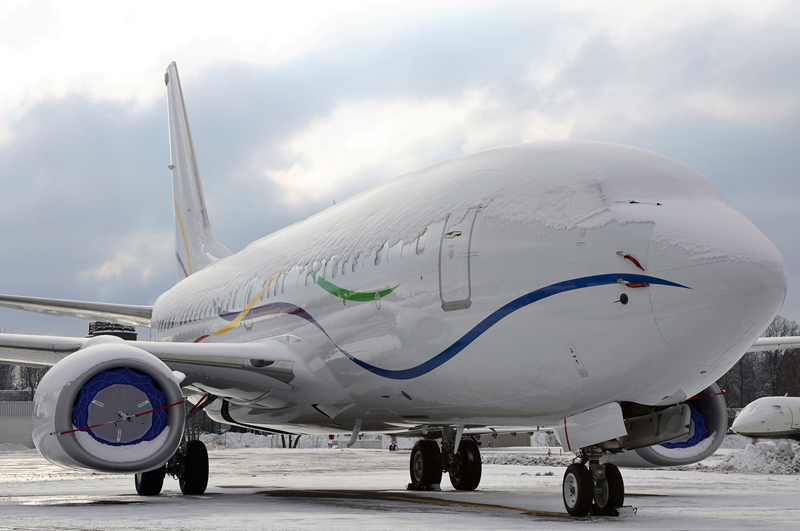 Parked aircraft with exposed jet engines to snow, ice, sand, debris, nesting birds, and foreign objects can cause severe damage to expensive jet turbine engines if they are not properly protected. 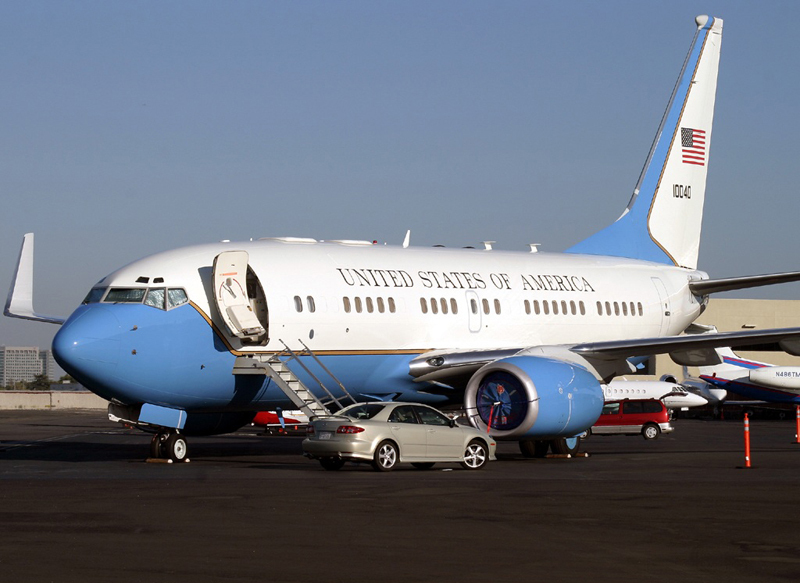 Ice buildup could fly into the jet engine striking the intake lip/bullet/guide vanes, etc., shattering into smaller pieces as it passes into the fan section, creating the soft FOD damage. 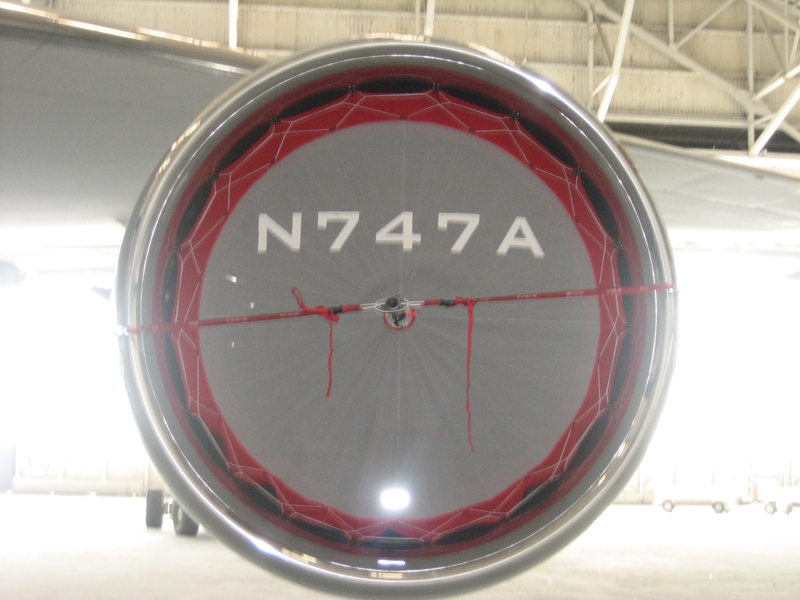 Prevent mechanics from leaving loose nuts and bolts around the jet engine cowl with a protective cover. 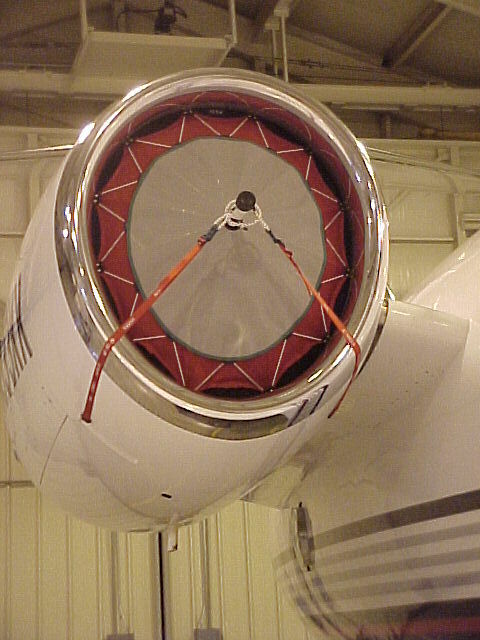 Speed up your preflight by keeping ice and snow buildup out of your jet engine cowl during snowstorms. 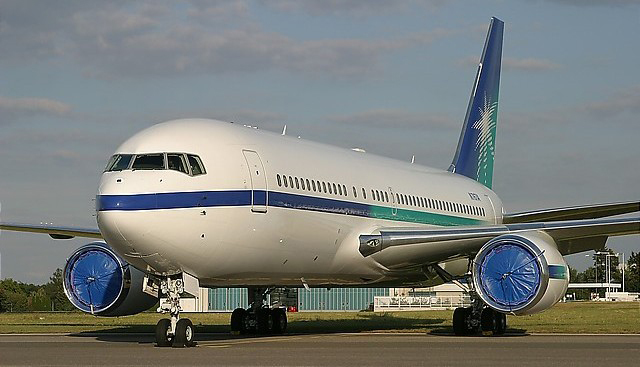 Our Jet \Brella products will also protect your jet aircraft from corrosion that is primarily caused by exposure to humid environments. 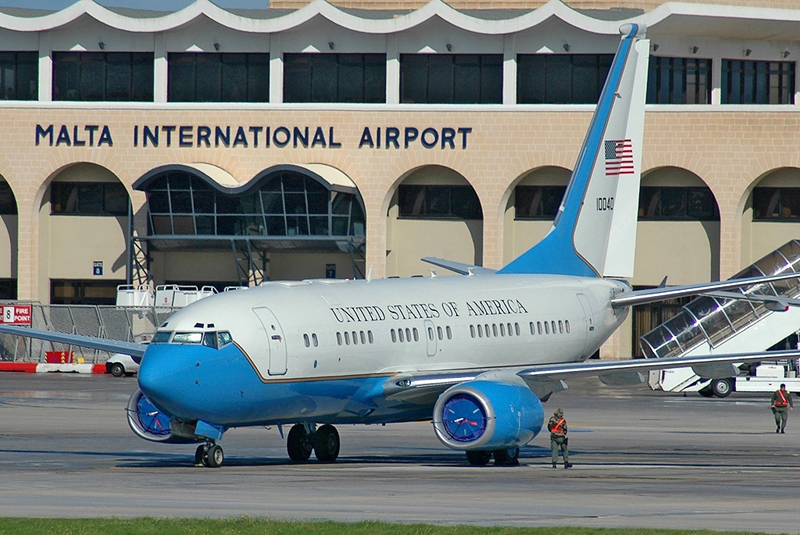 Jet Engine FOD Damage Protection is also an important part of the FAA Foreign Object Debris program. 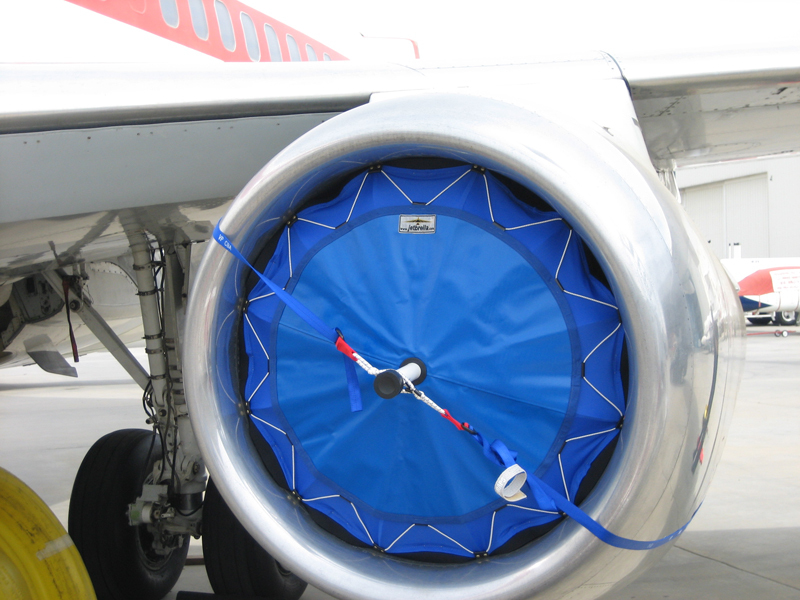 Our innovative Jet \ Brella inlet covers are ready to be shipped to protect your jet aircraft. 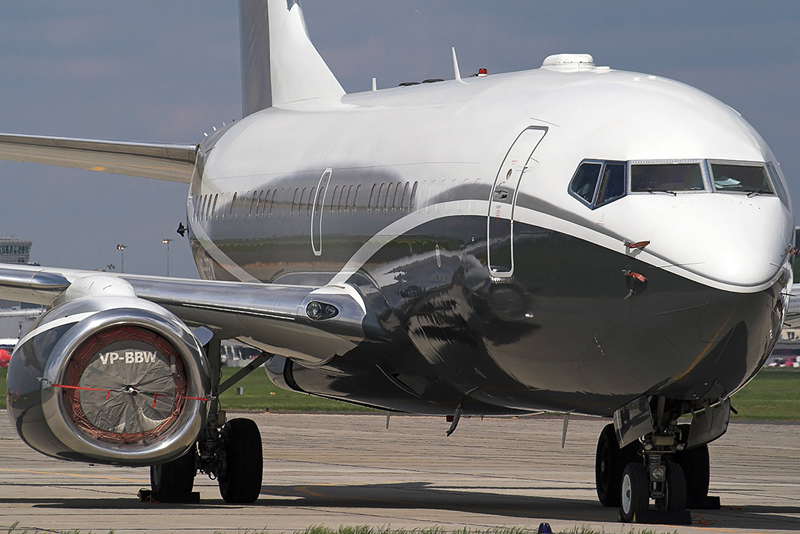 Protect your jet aircraft investment with our Jet \ Brella engine covers. 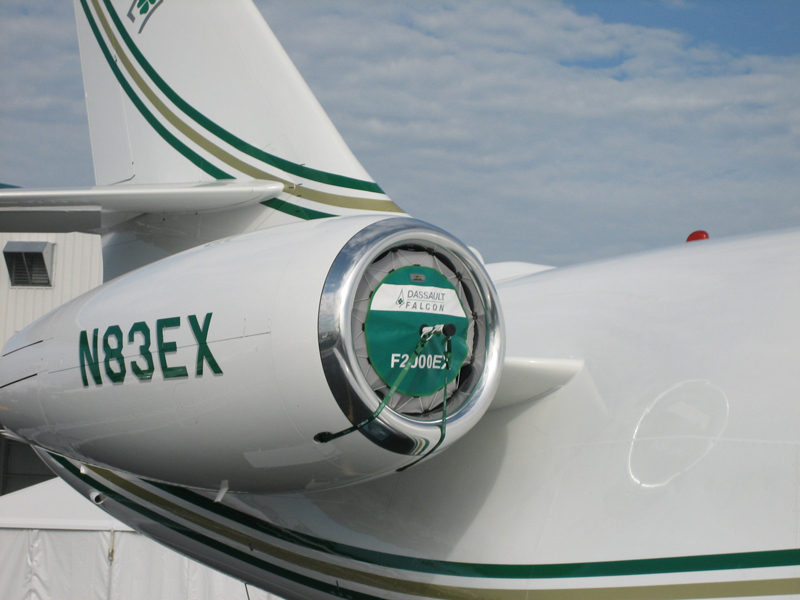 Safety, quality and protection are very important to prevent jet aircraft damage from foreign objects (FOD). 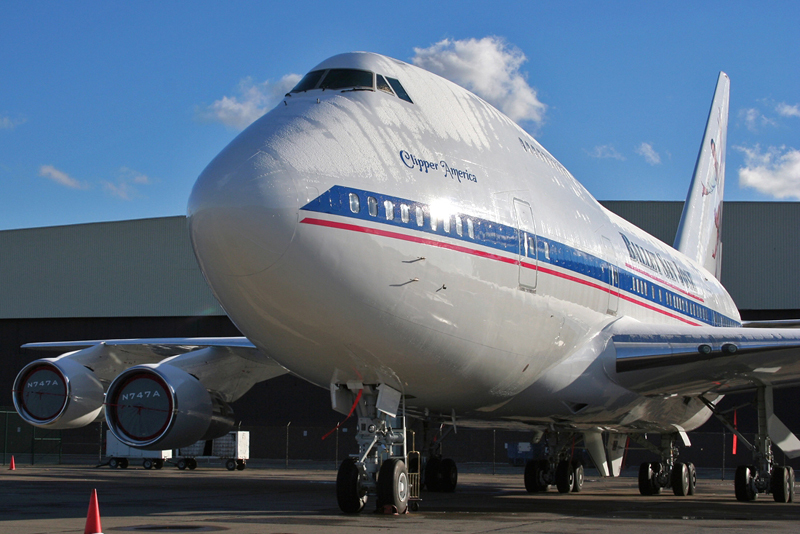 Expensive and significant damage is caused every year to aircraft and parts from foreign objects and severe weathering conditions. 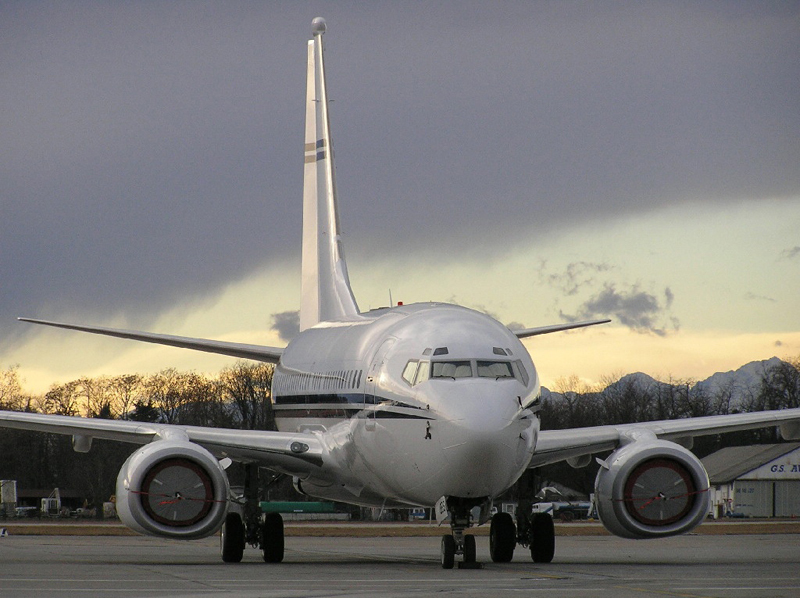 Our quality tested Jet \ Brella products are here to protect your private jet for many safe future flights. 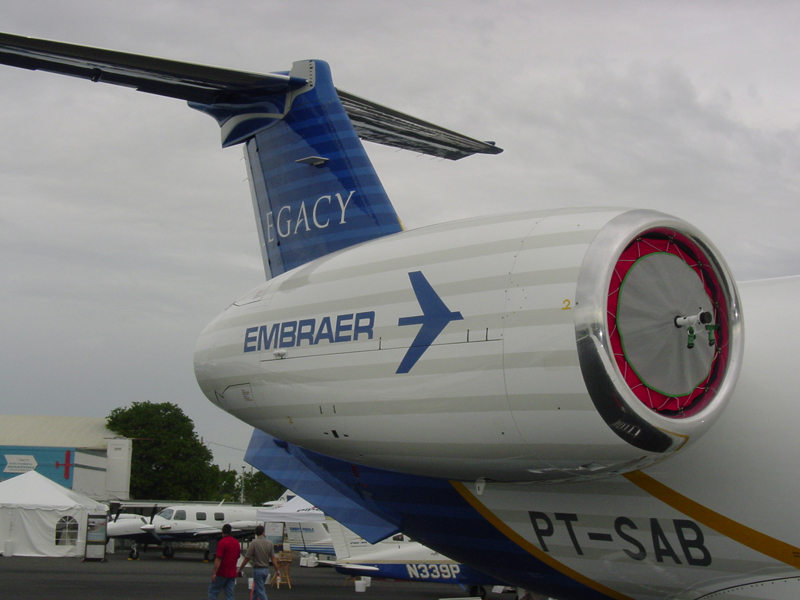 Jet \ Brella jet engine covers are available for Boeing, Bombardier, Cessna, Embraer, Falcon, Gulfstream, Hawker, IAI and Sabreliner private jets. 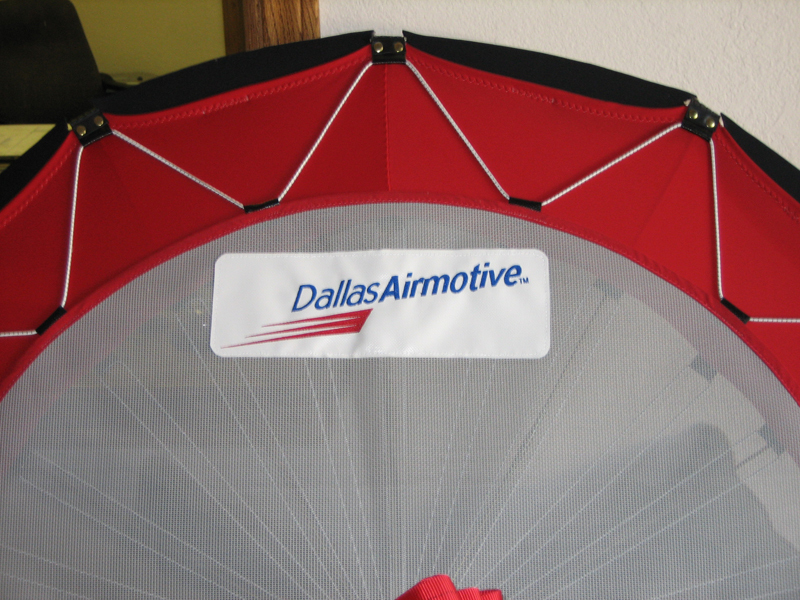 Looking to have your Jet\Brella engine covers refurbish? We have a complete program where you send in your old set of Jet\Brella inlet covers and we will refurbish them at a greatly reduced cost vs. a new set of inlet covers. 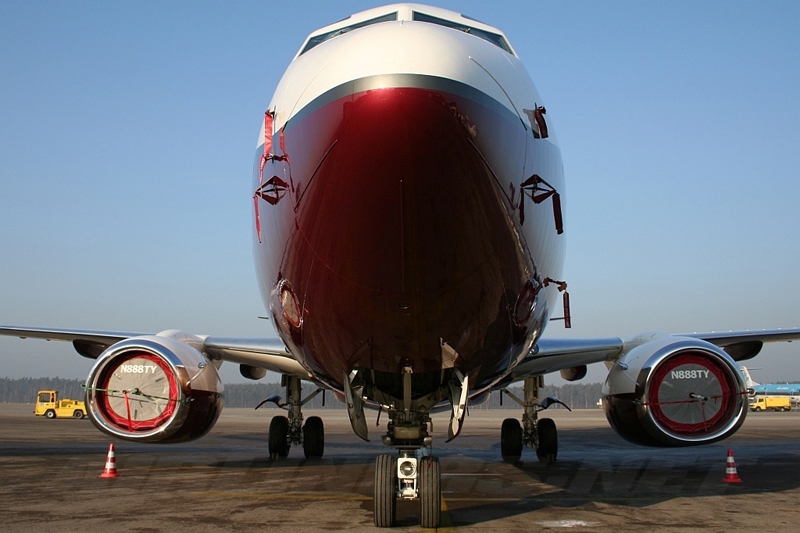 Please contact us for special pricing on refurbishing your jet engine inlet covers, and you will get them back as good as new. 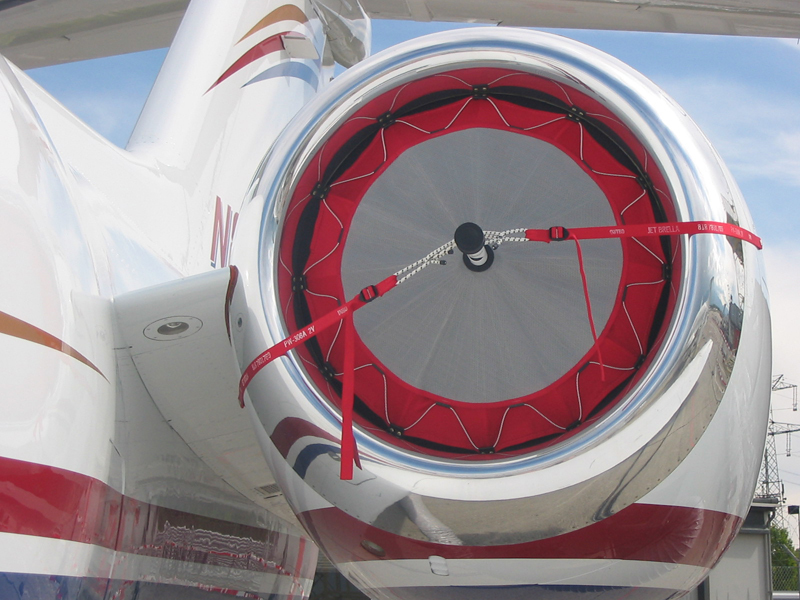 For more jet engine cover refurbishing information, check out our inlet cover refurbishing and upgrade page.